My first impressions were how friendly the office environment is and I really appreciated how organised everything was for me on my first day starting, I had a Mac set up waiting for me with everything installed and set up ready to go! Everyone is really helpful, even when everyone has a lot of work to do people are happy to answer all of my ‘newbie’ queries. I like how the company is growing and forward thinking therefore everyone’s opinions are valued, it doesn’t matter what your role is or how long you have been there. I particularly enjoyed the Christmas party, which was at the end of my first week here – it was certainly a good ice-breaker, so by my second week I felt fully at home in my new role. I feel like I have learnt such a lot in a small period of time. I’ve had various spells of financial services experience before working here however not in pensions so I have learnt a great deal about specifics of defined benefit pension schemes and their complexities. As other new starters before me I have also had to get used to using a Mac which I am really enjoying and may end up wanting my own! I’ve started on the pensions side of things, but I am looking forward to learning about different financial products as and eventually getting some qualifications under my belt. I enjoy keeping busy at work, and because we have been so busy recently the days just really do fly by! I am also excited for the new year to do some more training, keep learning and when we expand the Technical Research team even further, I won’t be the newbie anymore and can help others too. 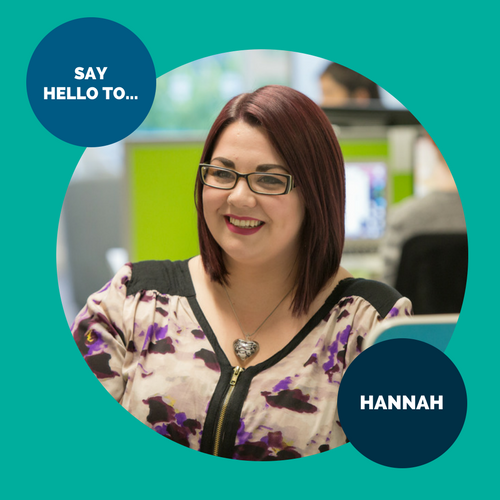 To find out more about Hannah you can also head over to her profile on our Meet the Team page.